lasted until we got married and she bought me #4504 for Christmas '04 (at my request). The immortal words "this isn't the start of something is it?" and my retort "No, I just want this one thing..."
RE: Wet damage - wrinkled box - how to fix? It depends on how badly the card is warped or distorted. RE: Am I entering a Dark Age or just losing interest in a theme? I'm kind of addicted to Lego Millennium Falcons. The #4504 was the one that brought me into the hobby properly. By the way, this second, a bit grungier #4504 will be available for trade or sale in the near future. Feel free to PM me if you're interested! 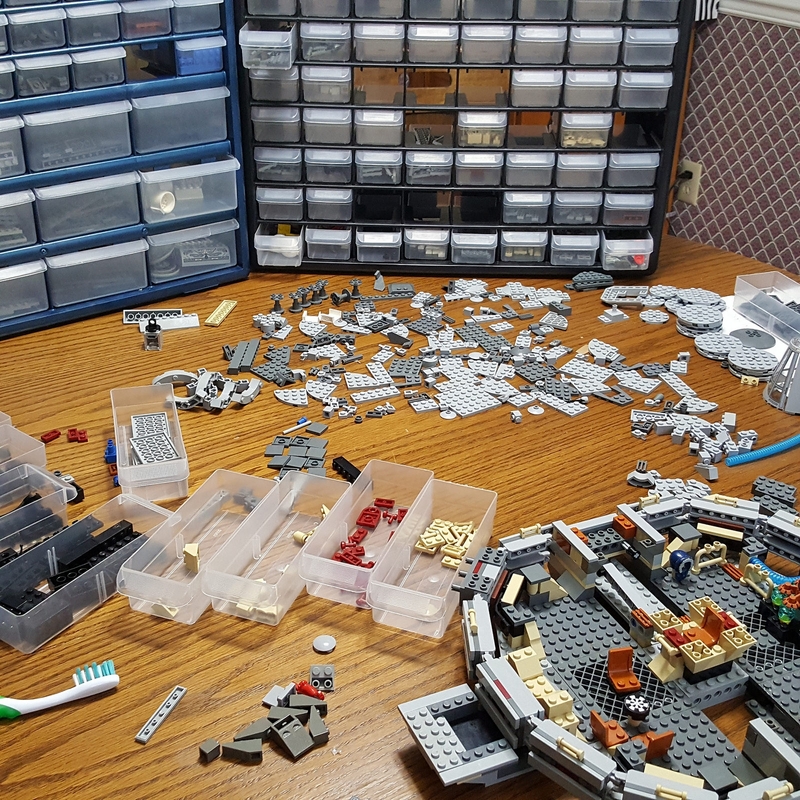 Most of the way through building the 'extra' Millennium Falcon #4504. That's the minifigure lineup for #4504 (sans an 'Assault on Hoth' snowtrooper).